Graduate Katie Hilditch visited the College earlier this year to share her experience studying at Wodonga Senior Secondary College, speaking to students about her tertiary studies and journey since graduating in 2015. 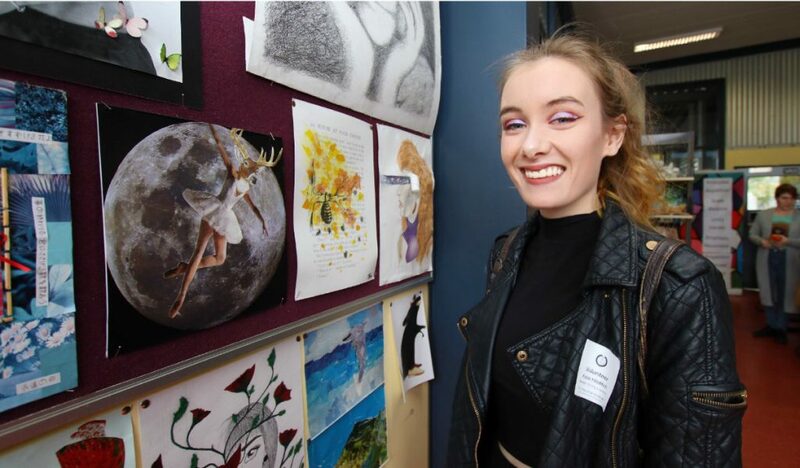 Whilst attending the College Katie pursued her passion for The Arts, studying VCE Media and Studio Arts subjects allowing her to develop her own unique art style which she loved. In Year 12 Katie utilised several mediums to create a collection of artwork as part of her VCE Art folio, which included a short film and sculptures that were on showcased alongside work from other VCE students in the annual College Kaleidoscope exhibition. Students took this opportunity to ask questions about university life and the course that Katie was completing to help them prepare for their next steps in life after graduating later this year. Katie highlighted the importance of developing connections wherever you go, commenting on how this has helped her to establish a presence in the film industry, saying from her experience it’s “30% talent and the rest is who you know”. Katie also spoke about how she established herself as a makeup artist for short films and commercial shoots in Melbourne and the importance of a professional work ethic. “Approach every project as the most important thing in the world” she said, taking on many challenging projects over the past few years and in doing so has developed a personal brand and style which is setting herself apart from the other people in this competitive industry. Now studying a degree at the SAE Creative Media Institute located in Port Melbourne, Katie aims to pursue a career in the film and television industry as a director after graduating. The College would like to thank Katie for taking the time to speak with the students and we wish her all the best with her career.